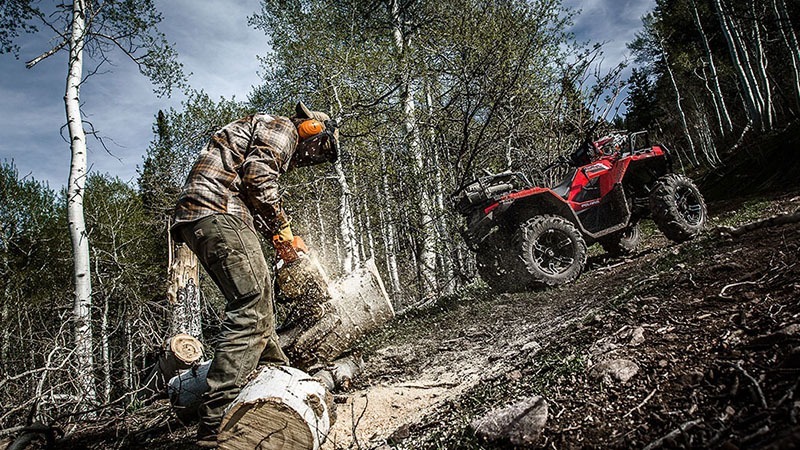 THE HARDEST WORKING SPORT UTILITY EXPERIENCE. 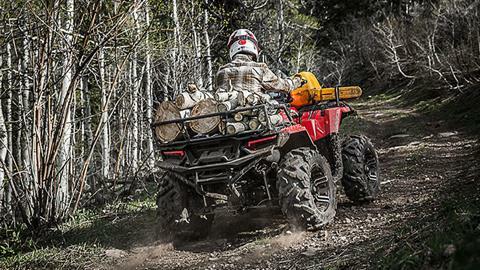 The Sportsman 850 delivers hardest working, smoothest riding performance for the ultimate sport/utility experience. 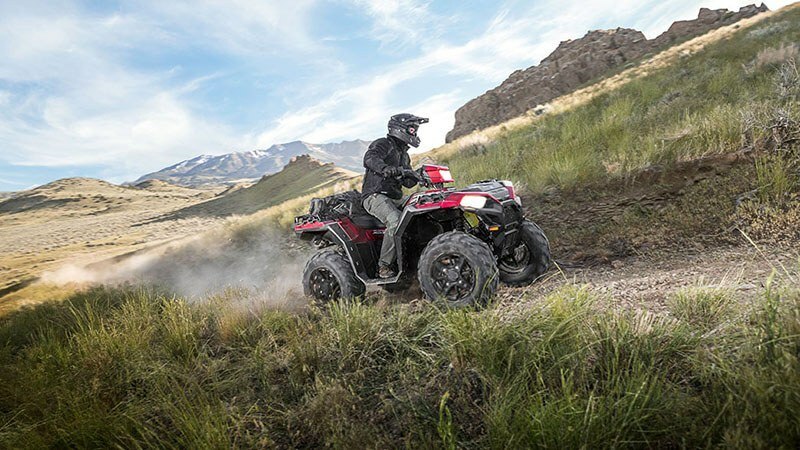 With a high-output 7 HP engine, rider active design to give you superior sightlines and a better ride, and the legendry Sportsman quality you expect, you'll have everything you need to take on the trails or get more done around your home and property. DURABLE. RELIABLE BUILT TO LAST: When you're working on your property or out on the trail, you can't afford down time. The Sportsman 850 is durable, reliable, and built to last. 1) NEW! Strong ductile steel pinion cover for a more durable front differential. 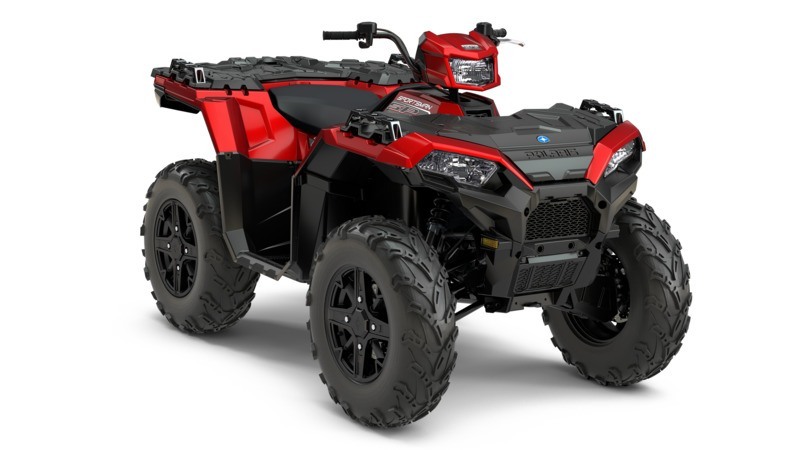 2) Electronic Fuel Injection (EFI) for reliable cold start. 3) Steel framed Lock & Ride racks. 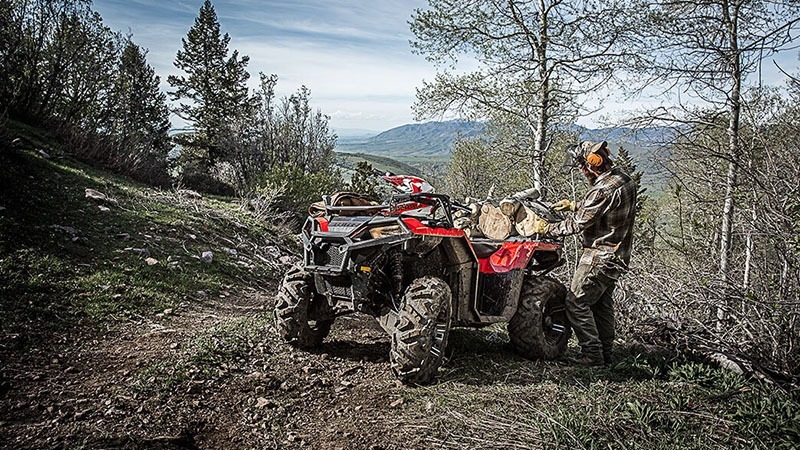 GET TO WORK WITH MASSIVE PAYLOADS & TOWING: The Sportsman 850 delivers massive payload and towing capacity to tackle the biggest jobs and get more done in fewer trips. 1) Massive 1.,500 lb. of towing capacity. 2) 575 lb. 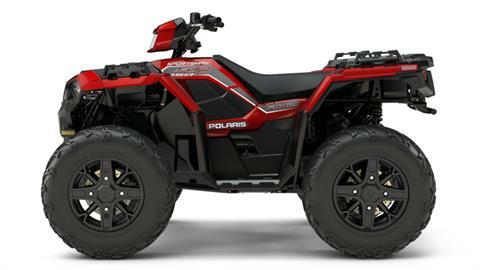 payload capacity. 3) Steel reinforced utility rack system with 360 lb. capacity. 4) Over 8 gallons of integrated front & rear storage. 5) Integrated winch and plow mount system for easy installation. 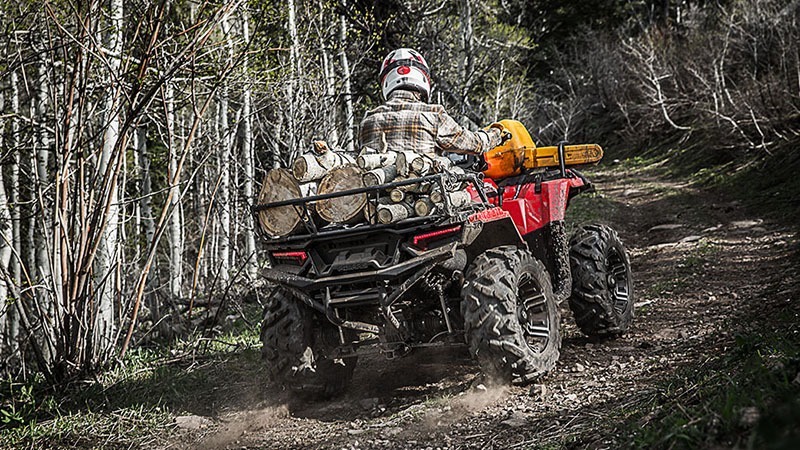 78 HP OF PURPOSE-BUILT POWER: The powerful engine and reliable performance you need to rip through the trails or get more done around your home and property. 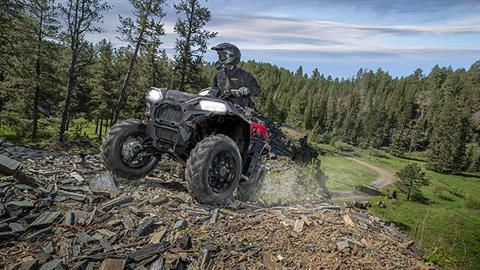 1) High-output 78 HP ProStar 850 Twin EFI engine with single overhead cam. 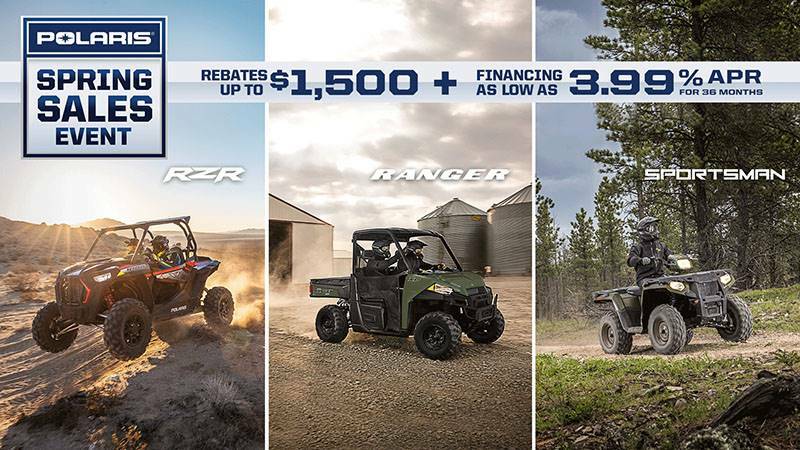 2) Electronic Fuel Injection (EFI) to keep you moving in any weather. 3) True On-Demand All Wheel Drive to give you the traction you need, when you need it. INDUSTRY'S ONLY ROLLED INDEPENDENT REAR SUSPENSION: With legendary Sportsman suspension and handling, you'll be prepared to navigate the tightest corners and biggest obstacles with full comfort and control. 1) Legendary Rolled Independent Rear Suspension (IRS) to keep you planted on all fourt tires in tight turns. 2) 11.5 in. of obstacle-dominating ground clearance. 3) Sport performance chassis to maximize usable ground clearance. Sport-Inspired Rider Active Design for 30% better sightlines. 4) NEW! Improved Engine Braking System (EBS) to keep your speed decelerations smooth and consistent.